Kesari is produced by Karan Johar's Dharma Productions and it is set to release on March 21, 2019. Mumbai: Yesterday, Akshay Kumar had shared his two fresh looks from his upcoming film Kesari. Wearing a turban and aiming to finish enemies for the pride of Sikh, the Khiladi Kumar was looking impressive. And now, recently Akki shared the first glimpse of his upcoming period drama which will create josh inside you. Taking to Twitter, Akshay wrote, "It’s an UNBELIEVABLE TRUE STORY. Presenting the first one from the #GlimpsesOfKesari #KesariTrailer21Feb". 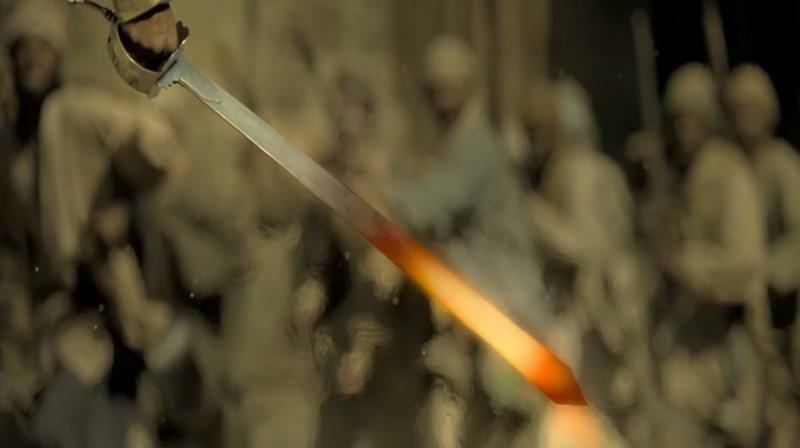 This Glimpses of Kesari part 1 showcases Sikh warriors in a furious avatar. Meanwhile, the film also stars Parineeti Chopra in a leading role and its trailer is releasing on February 21. Helmed by Anurag Singh, Kesari is reportedly the story of brave Havildar Ishar Singh who participated in the Battle of Saragarhi, a war fought between an army of 21 Sikhs and 10,000 Afghans in 1897, while yearning for the respect of his estranged daughter. Kesari has been produced by Karan Johar's Dharma Productions and it is set to release on March 21, 2019. ■How Akshay kumar revived Kesari!